The University of Texas Southwest Medical Center recently opened its new Brain Institute. That’s where Doctors Ding, Tarumi and associates work. They recruited 91 participants diagnosed with mild cognitive impairment. Generally, that means they were able to care for themselves but were noticing some memory difficulty. 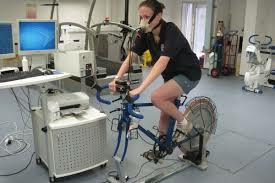 Participants in the study had VO2Max measured, had brain image scans, and various tests of cognition performed. The conclusion: the lower the fitness level, the faster the deterioration in brain fiber. Specifically, the deterioration of white matter. We’ve mentioned white matter previously. It is bundles of axons which connect various gray matter areas to each other and to the spinal cord. It’s one of the foundation parts of the brain and its operation. White matter is critical to taking it new information, assessing its importance (or lack thereof) and make good, timely decisions. That ability is associated with lower risk of dementia or Alzheimer’s disease. Link to the underlying research here. Fire up the exercise bike. Are your kids bored with their Christmas presents by now? We’re having a sale at www.BigBrain.Place on our brain games for kids. Great brain-teasers. Twenty percent off. Supplies are definitely limited. Enter code BR4K at checkout. Link to those games here. From our upcoming book Guidebook to a Bigger Brain. Copyright 2018. All rights reserved.